Our National Motto, “In God We Trust,” survived another attempt to ban it from its traditional use by the government. 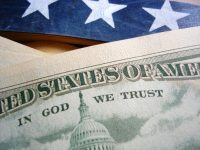 On Wednesday, November 30, the U.S. District Court for the Northern District of Ohio dismissed a lawsuit against the federal government demanding the removal of the National Motto, “In God We Trust,” from U.S. currency. First Liberty filed a friend-of-the-court brief on behalf of The American Legion defending the National Motto and supporting the federal government’s motion to dismiss. In the opinion, the court dismissed the Plaintiffs’ claims that the use of the National Motto on currency violates their rights to free exercise, free speech, and equal protection. After a group of atheists, humanists and others filed a lawsuit against the federal government demanding the removal of the phrase “In God We Trust” from U.S. currency, First Liberty Institute filed a friend-of-the-court brief on behalf of The American Legion, the largest veterans service organization in America with over 2 million members. “The American Legion believes that our National Motto, ‘In God We Trust,’ itself originating in Francis Scott Key’s poem that would become ‘The Star-Spangled Banner’ and honoring the courage and valor of our service members who defended Fort McHenry during the War of 1812, is a fitting and solemnizing motto for this nation. This attempt to remove “In God We Trust” from U.S. currency fits a widening pattern of attack on the nation’s religious heritage. Last year, the Wisconsin-based Freedom From Religion Foundation (FFRF) sent letters to police and sheriffs departments across the country attacking the display of the National Motto on official vehicles. One was Police Chief Adrian Garcia of Childress, Texas, who received a letter from FFRF in September 2015 demanding that he remove the “In God We Trust” decals from his department’s vehicles. First Liberty stepped in to defend Chief Garcia and his department’s right to display the National Motto. Many other law enforcement offices around the country retained First Liberty to defend them against similar attacks. First Liberty has offered to represent any police or sheriff department that receives a similar harassing letter from the FFRF. The effort to erase “In God We Trust” from government-owned locations and property is part of an ongoing struggle between two visions of America’s future: an America that acknowledges its religious heritage and free religious exercise for all Americans vs. an America where this acknowledgment is publically erased. The American Legion and First Liberty Institute have collaborated many times to protect religious liberty and America’s religious heritage. On December 7, one of First Liberty’s top volunteer attorneys will represent The American Legion at oral arguments before the U.S. Court of Appeals for the Fourth Circuit in our ongoing effort to prevent the removal or destruction of the Bladensburg, Maryland World War I Veterans Memorial. The American Humanist Association filed suit to remove the Memorial because it is in the shape of a cross. In 1925, a local post of The American Legion erected the Memorial to honor the selfless sacrifice of 49 men from Prince George’s County, Maryland who gave their lives serving in the U.S. Armed Forces during World War I. 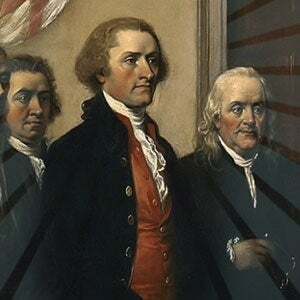 Attacks on the National Motto, veterans memorials with a cross, and other examples of our country’s heritage are a reminder that vigilant legal action is a necessary and worthy price to keep these essential virtues of American life.